You won’t want to miss this! 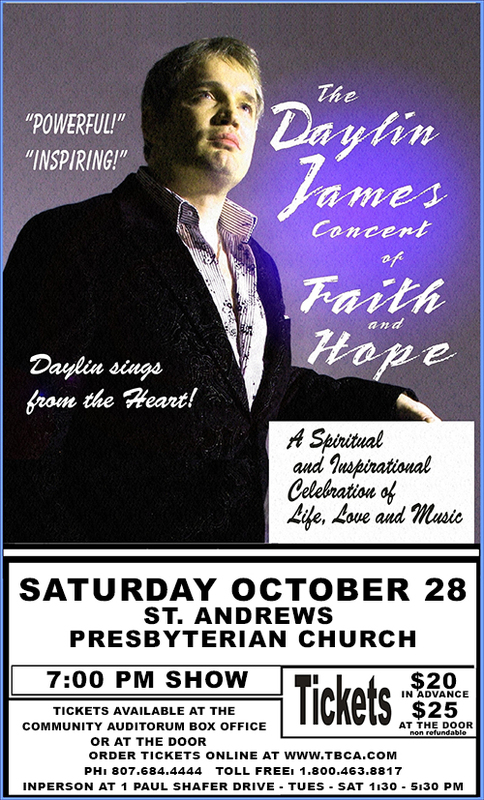 Tickets are only $20 in advance and are available in the St. Andrew’s Church office until Tues. Oct. 24. You can also purchase tickets at the door for $25. This entry was posted in St. Andrew's News and tagged Daylin James on October 11, 2017 by St. Andrew's Thunder Bay. Come for a quiet time of prayer in the 5th floor chapel. 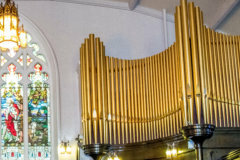 Hear your favourite hymn, prelude, offertory or postlude during a service. Suggested donation of @20 per request. Call the office at 622-4273 or email office.standrewspres@tbaytel.net. Rev. Joyce Yanishewski, M. Div. Monday – Friday 9 a.m. to 1 p.m.